What Are Your Personal Injury Questions? 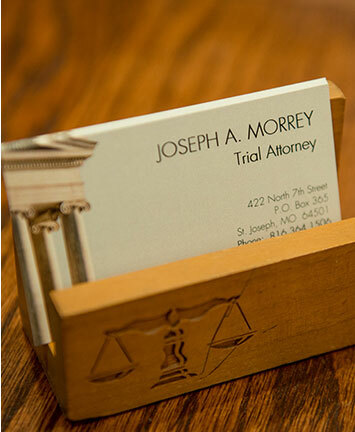 At the Law Offices of Joseph A. Morrey, we speak with many people about their injury cases. In fact, we have assisted people in pursuing personal injury compensation in Missouri for over 35 years. Over that course of time, there have been two questions that people always have: Who is liable? and How does insurance work? What follows are some basic answers to these questions and other questions we receive. Liability is another term for negligence. Basically, it means who is at fault. It is that simple but also not that simple because other factors are also involved such as did the person owe you a duty of care because of where the accident occurred? This is where negligence comes in. Negligence occurs when someone owes you a duty of care, including creating safe conditions to be on their property, on the road, at work, in the hospital and in other places and circumstances where a reasonable person would expect to be safe. When an injury occurs and someone else contributed to those circumstances by breaching their duty of care owed, negligence may have occurred and liability may apply. The negligence must also result in damages such as medical bills and lost wages, for example. How does liability insurance pay out? This question relates to the process of making an insurance claim, which also involves proving liability of the other party. The insurance involved will vary from case to case. When you work with an attorney, you pay nothing until we win a settlement for you. Then our fee is paid out as a percentage of the compensation money awarded, typically by the other party's liability insurance carrier. What things are included in damages? Damages may include medical bills, lost wages, ongoing treatment of injuries, surgery, ambulance fees, emergency room charges, pain and suffering, disfigurement or scarring and future medical needs. For more than 35 years, attorney Joe Morrey has assisted people in seeking damages for their injuries caused by others. He's no ordinary Joe. His integrity and results have earned him several industry accolades, including Top 100 Trial Lawyers in Missouri. Call his office in Saint Joseph to arrange for your free initial consultation to discuss your case at 816-364-1506. You can also email his firm using the online contact form.